Peoples conversation on the telephone were recorded, starting with the ringing of the phone, ending when they turn off and put down the telephone. Each conversation took a different length of time, but by adjusting the speed of the videos they were either stretched or compressed to a 5 minute duration. This results in the videos being either too fast or too slow, and the sound therefore being either fast and high, or slow and deep. The conversations are in Icelandic, English and Danish. 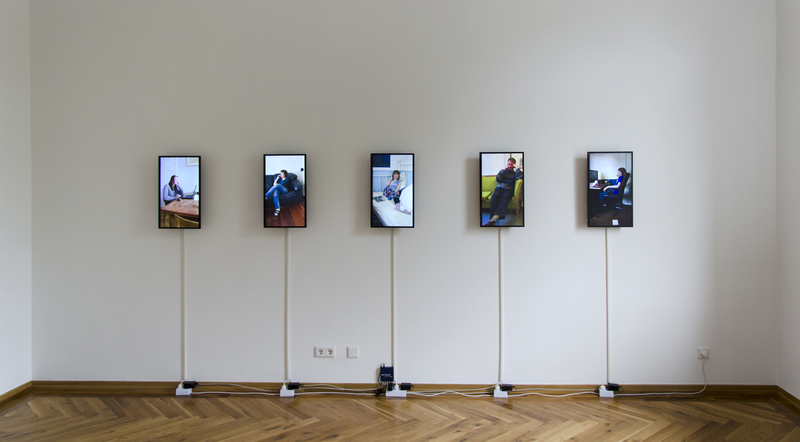 The installation is presented on 5 video monitors in a row on a wall, played from synchronized video players.